The concept of this series of artwork is mainly continued the pine grease paint infused in the new element, eastern gouache on the silk scroll. By an appropriate distance and the transparency of the silk scroll, the pine grease paint is presented well on the picture. After tackling the relationship of the space and the subject, the picture seemed to be added with more layers. 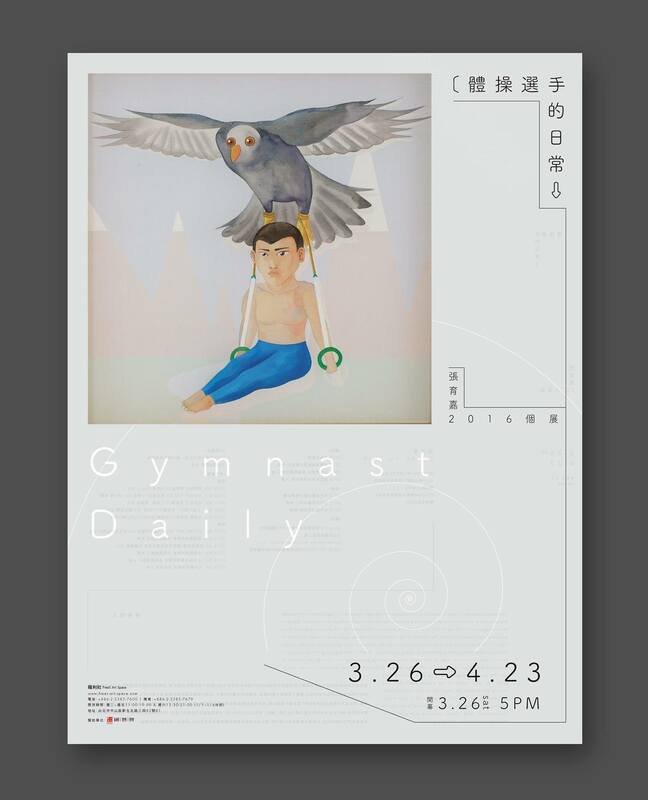 The name of this exhibition revolves around gymnastic is mainly because I had experiences of learning gymnastic when I was little. I chose this subject naturally when at first creating this series of artwork and then I noticed that gymnastic contestants’ score is judged by the referee. The concept corresponds to everyone in all walks of life. In our daily life, we strained hard to work, to create, and to present the best part of ourselves hoping to get noticed as well as to meet our hearts’ content and peace. A daily life of a gymnastic contestant is like an epitome of our life. I wish to present the ambiguous feelings in life through combining gymnastic with the daily life in this series of artwork.